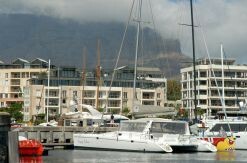 The Victoria & Alfred Waterfront is widely regarded as the most successful Waterfront development in the world, and offers residents and visitors a lifestyle and entertainment hub. South Africa's Cape Town has just been named the third best city in the world. The list, published in Lonely Planet's Best in Travel 2014 guide released this week, is headed by Paris and Trinidad. Cape Town, in third position, is ahead of global centres such as Zurich, Shanghai, Chicago and Auckland. "There's never a bad time to visit Cape Town," says Lonely Planet. "In recent years the city has received a deluge of accolades paying homage to its undeniable natural beauty. This year the city is destined to get even prettier as it takes on the title of World Design Capital for 12 inspirational months." The World Design Capital project identifies and rewards cities that use design to foster social, economic and cultural development. The guide adds, "Expect sculpture-lined green spaces, sustainable projects, and further regeneration of former industrial districts such as Woodstock and The Fringe, now the stamping ground of trendy shoppers and gourmands." 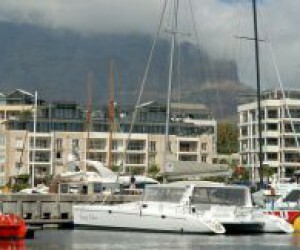 According to the Cape Town Partnerships website, two World Design Capital project representatives; the International Council of Societies of Industrial Design's secretary, General Dilki de Silva, and its only African executive board member, Cape Town's Mugendi M'Rithaa, were very enthusiastic about design's role in Cape Town and on the continent. "The first challenge is around the understanding of the term design. What the International Council of Societies of Industrial Design (ICSID) has done through World Design Capital is to introduce a more nuanced understanding of design – beyond products. It's now about how design can affect the economic, social, cultural and environmental quality of life for people. In terms of Africa, the regions are acknowledging and understanding design at a varied pace. "For instance; apartheid was a bad design that excluded people and we are using our World Design Capital designation to address these systemic design issues. So look at housing; 29% of South Africans live in slums, but in Sierra Leone this figure is 95%, in Nairobi it's more like 42%. Suddenly, challenges faced by Cape Town are replicated elsewhere, with similar dynamics – maybe even more daunting ones – but the courage with which Cape Town engages these issues will have a very powerful catalytic effect on the way other cities see design as an agency for social change," they say. The International Council of Societies of Industrial Design is a non-profit organisation that protects and promotes the industrial design profession. "Lonely Planet says that the reasons for selecting certain destinations vary; 2014 'marks the 20th anniversary of South African democracy – honour it by exploring the city's history'," reads a statement from the City of Cape Town. There has been great excitement around the honours Cape Town has received this year. The World Travel Awards - the "Oscars of the travel industry" - honoured the city as Africa's Leading Destination and Africa's Leading Meetings and Conference Destination at an awards ceremony in Kenya earlier this month. The Taj Hotel in the city centre took the honours for Africa's Leading Hotel Residence. In the 2013 Condé Nast Traveller Readers' Choice Awards, Cape Town was listed in the top 10 cities in Africa and the Middle East and was ranked 11th in the Condé Nast Top 25 cities in the world. Some 80 000 readers cast 1.3-million votes in the poll. "The city is constantly building skills and improving opportunities in the tourism sector for up-and-coming entrepreneurs, which forms part of this administration's vision to create an Opportunity City which will benefit all our people," said the city's mayoral committee member for tourism, events and marketing, Councillor Grant Pascoe. This cosmopolitan peninsula at the tip of Africa, boasting a Mediterranean climate, is a diverse melting pot of 11 official languages, and cultures and religions. Its natural beauty makes it one of the most attractive cities in the world, in fact, the third best city in the world.